Snow Joke! Indoor Ski Slope for a sport that matches the weather! Easter Holiday offers from Skiplex, Dukes Meadows We are lucky enough to have a Skiplex locally, just off the A316 by Chiswick Bridge. In addition to the ski slope there are also indoor tennis courts, a golf course, a driving range, a fantastic cafe and plenty of parking spaces. As a non membership sports facility it's worth calling to find out what else is on this Easter for the family. Skiplex is the UK's first endless, indoor, adjustable, year round ski slope. Check out the website to find out more about how its works. 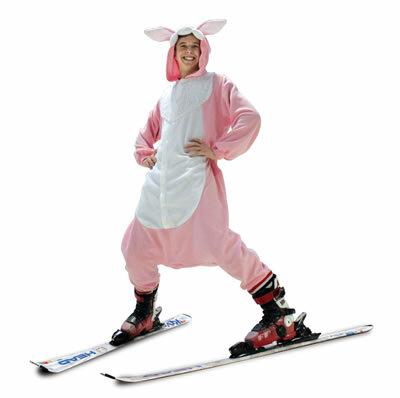 Normally a family of 2 adults and 2 children would cost £149.99 but Skiplex are offering a whacking £60 off the rate price this Easter. Even if you've never skied before come along and try something different with the family, the instructors adapt the speed and height of the slope to suit your abilities and the kids will love learning with you. For just £89.00 you get to hire the slope & the instructor for an hours intensive tuition for you and up to 4 family members. Sign the kids up for 2 hours of discovery for just £25.00 (8-13yr olds). Running from 4th April - 11th April weekday mornings from 10:00am the ski instructors take a group of up to 5 youngsters through a 2 hour course covering: technique assessment, video analysis, equipment training, orienteering & awareness, cardio exercise plus tricks and games on the slope.Contact a.harding@skiplex.co.uk to book a place. Ladies are offered 1/2 price skiing between 10:00-12:00 weekdays right through into April. An hours ski is normally £39.99 but you can take advantage of a generous £19.99 offer by calling Dukes Meadows reception for availability. Call Dukes Meadows on 020 8994 3314 and select ONE for ski.